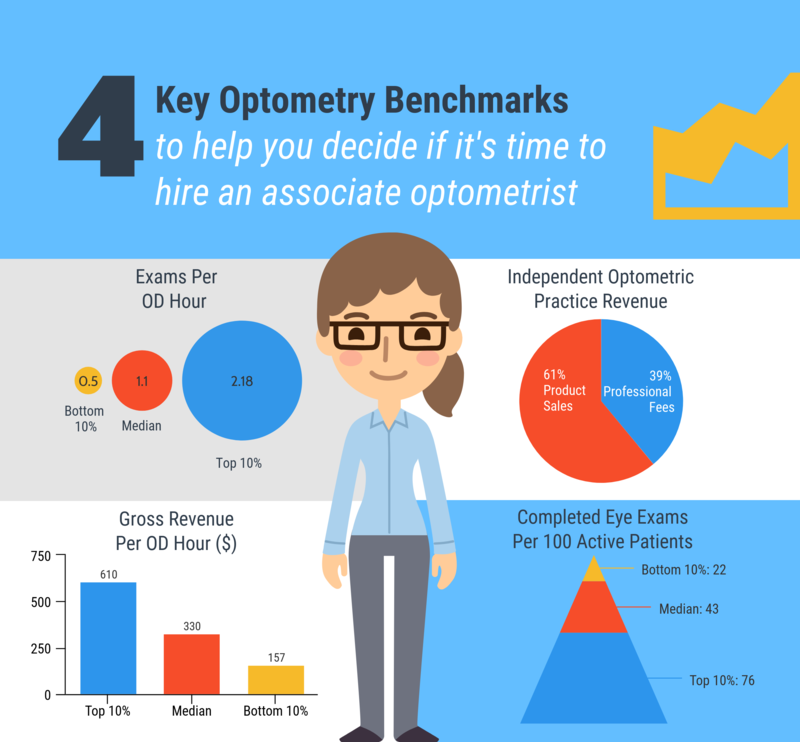 When is the Right Time to Hire an Associate Optometrist? The question of when to hire an associate optometrist is not one to take lightly. If you are a solo practitioner or a practice manager, the first thing you need to consider is whether expanding the practice is something you want or need. Would hiring an associate optometrist enable you to bring on more patients and potentially generate additional revenue, or are you currently overbooked? This distinction is incredibly important. Recruiting in optometry can be difficult and time consuming, especially when hiring optometrists and ophthalmologists. Before making any big decisions, you should examine key optometry benchmarks like the average number of patients per optometrist (if you already have more than one), income per clinical hour, and time per exam, just to start. Once you’ve completed the necessary risk-reward assessment, you can move forward with confidence and expand your practice sensibly and practically. One bit of advice you’ll find in many optometry practice management tips sheets (and touched on above), is you need to perform some analysis before deciding if or when to hire an associate optometrist. Here are some helpful data points and optometry benchmarks from the Practice Advancement Associates’ (PAA) report on the optometry industry, Key Metrics: Assessing Optometric Practice Performance, to reference as you consider practice expansion pros and cons. In addition to the numbers listed above, one of the most important optometry benchmarks to consider is the average number of patients per optometrist. The PAA puts this number at anywhere from 2,500 to 9,000 active patients per optometrist. According to the 2016 AOA Survey of Optometric Practice, owner ODs saw an average of 52.4 patients per week (2,535 visits per year), while non-owner ODs saw an average of 75 patients per week (3,599 visits per year). For the purpose of deciding when to hire an associate optometrist, use the key performance indicators from PAA and AOA to evaluate your practice. If you find your practice is consistently above the median level for number of exams per OD hour, number of complete exams per 100 active patients, and gross revenue per OD hour and you are seeing an above-average number of patients per week, you should strongly consider adding another OD to your team. Keep in mind, however, that hiring optometrists means employing support staff as well. On average, there are four staff members for each OD (according to PAA), so you will also have to take into account the added salaries and space needed to integrate extra employees as you bring on more optometrists. Hiring in optometry can be difficult, and the ease of hiring optometrists varies significantly depending on the area. Some regions are flush with recent graduates and other young optometrists hungry for the opportunity to cut their teeth in a growing practice. If this is the case, your first step is to write an effective optometrist job ad to promote your opening. Once you’ve sifted through applications and begun interviews, carefully consider any red flags you come across before making an offer. If you happen to work in a location where talent is scarce, your best bet may be to engage a staffing or recruiting firm to find an associate optometrist to add to your practice. This may inflate your costs, and you might have to offer additional benefits or paid relocation to attract the right candidate, but it will be worth it if it means your practice can continue to thrive. Choosing when to hire an associate optometrist is undoubtedly a big decision, but it’s a potentially lucrative one. Solo practitioners who hire associates can often cut back their own work hours and/or specialize in a particular area. 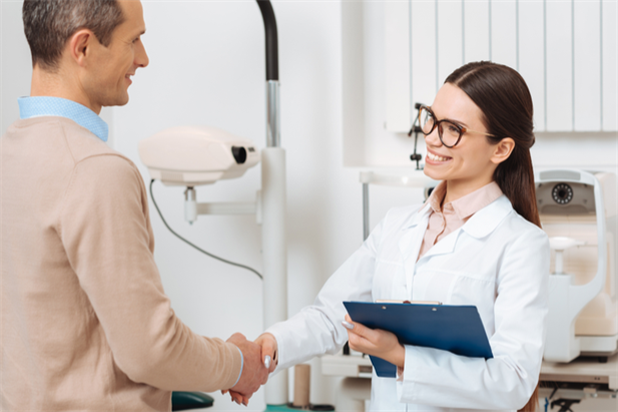 Owner ODs who expand their practice by adding another optometrist can take the business to another level by accepting additional patients and generating significantly more revenue. By carefully analyzing your practice’s performance and considering your options, you’ll know when the time is right to hire an associate optometrist. Are you considering adding an associate optometrist to your eye care team? Promote your opening on iHireOptometry or use our resume search database to find a talented OD for your practice.